Hedge fund interest in Babcock & Wilcox Enterprises Inc (NYSE:BW) shares was flat during the third quarter. This is usually a negative indicator. 20 hedge funds that we track owned the stock on September 30, same as on June 30. 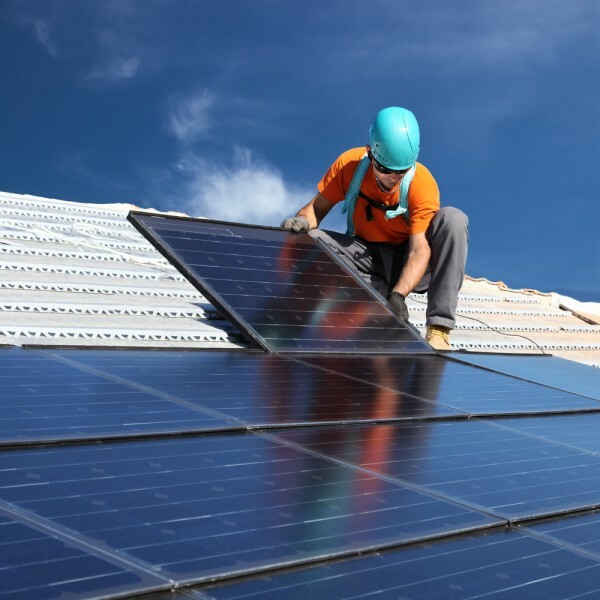 At the end of this article we will also compare BW to other stocks including Five9 Inc (NASDAQ:FIVN), Flotek Industries Inc (NYSE:FTK), and Deltic Timber Corp (NYSE:DEL) to get a better sense of its popularity. Follow Babcock & Wilcox Enterprises Inc.Follow Babcock & Wilcox Enterprises Inc. Heading into the fourth quarter of 2016, a total of 20 of the hedge funds tracked by Insider Monkey held long positions in this stock, unchanged from the second quarter of 2016. 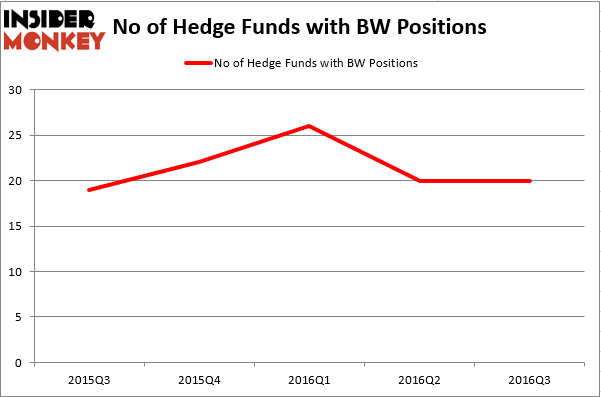 The graph below displays the number of hedge funds with bullish position in BW over the last 5 quarters, which shows hedge fund ownership peaking at the end of Q1 and declining by over 20% since. So, let’s find out which hedge funds were among the top holders of the stock and which hedge funds were making big moves. According to publicly available hedge fund and institutional investor holdings data compiled by Insider Monkey, Robert Rodriguez and Steven Romick’s First Pacific Advisors LLC has the most valuable position in Babcock & Wilcox Enterprises Inc (NYSE:BW), worth close to $51.1 million. The second most bullish fund manager is Daruma Asset Management, led by Mariko Gordon, which holds a $41.2 million position; the fund has 2.5% of its 13F portfolio invested in the stock. Remaining members of the smart money that hold long positions consist of Amy Minella’s Cardinal Capital, David E. Shaw’s D E Shaw, and Clifton S. Robbins’ Blue Harbour Group. We should note that none of these hedge funds are among our list of the 100 best performing hedge funds which is based on the performance of their 13F long positions in non-microcap stocks.